Facebook is an incredibly effective platform that your business can (and should!) utilize as another outlet by which to connect to current and prospective clients. 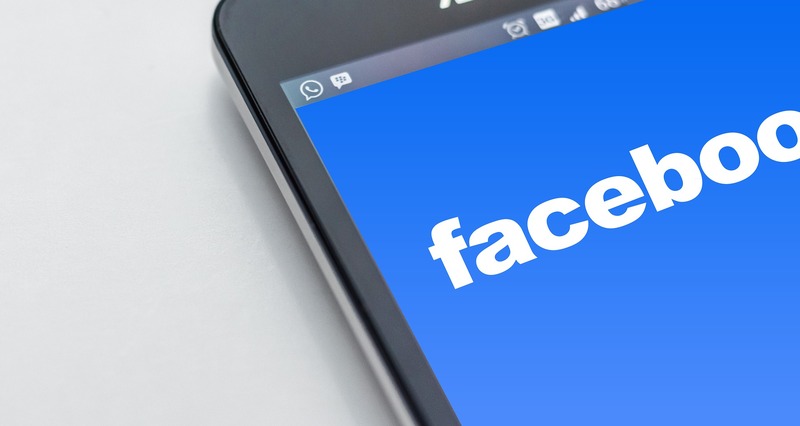 In order to make the most of your Facebook Business Page, it’s important to stay on top of new features and capabilities as they continue to roll out within this ever-changing tool. 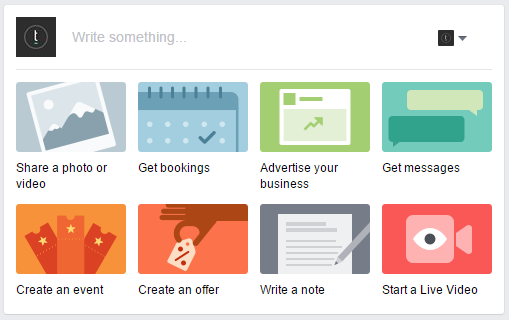 Facebook has recently updated the layout and posting options within its Business Pages. To provide you with a better understanding of all of these changes, we’ve outlined and explained some of these updates for you here. 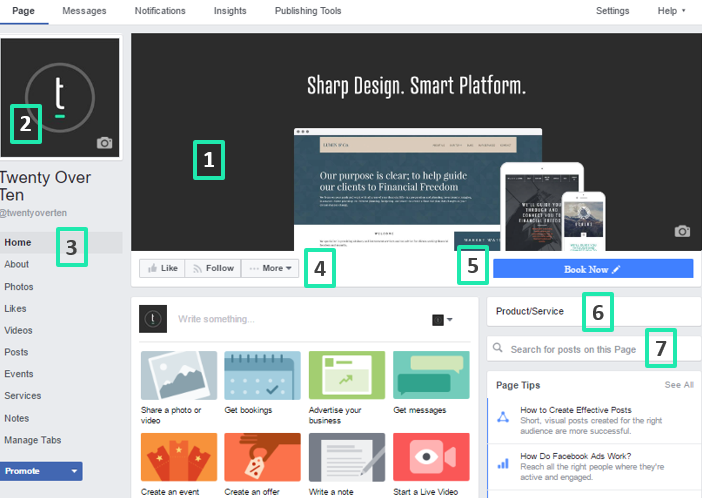 What’s new with the layout of my Facebook Business Page? Facebook has cleaned up the cover photo by removing the logo from the cover image territory. Use this space to include a screenshot of your company’s website homepage, your firm’s mission statement, or some other type of unique branding. The space for a your firm’s logo image is now included in the left-hand column of the page and is a slightly bigger space than it was before. Your Facebook Business Page tabs have been moved under the logo section and more tabs are now listed and visible on the home page for easier navigation. 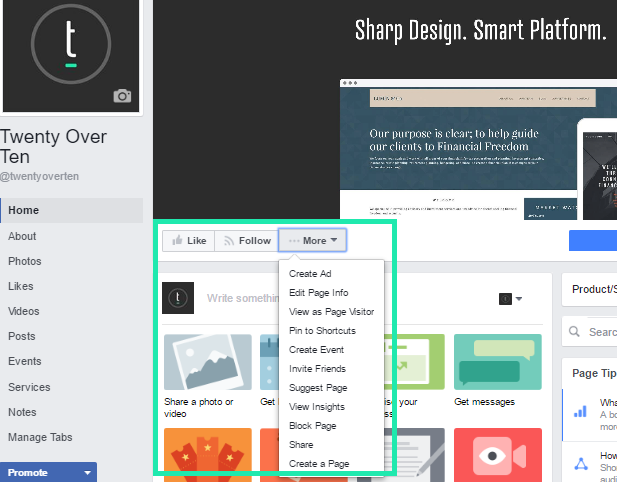 The Like, Message, Share, and Create Ad/Event/Page buttons have all moved and are now located underneath the cover image, positioned to the left (click “more” to see them all). You are able to link the Call To Action button to any website or page that you’d like your Facebook visitors to be directed to. Pay special attention to which button you choose! You can also change up your button throughout the year as you have new marketing initiatives you want to highlight (for instance you might choose “Watch Video” if you launch a new video series and then switch back to “book now” a month later). The business categories section is more prominent and companies can choose from one of 27 categories. Below the business categories section is the search bar which allows you to search all of the posts on that page. Status Update: The most basic type of post, containing only text and links. Photo/Video: A post containing visual content, such as a a photo, photo album, or a video to a post. These posts can still include text and links as well. Offer: A post including a coupon that you’re offering for your business and that users can claim directly from the post itself. Milestone: A special post celebrating a major event in your company’s history, such as the opening of a new office location or the anniversary of your open date. Question: An engaging post that allows you to ask a multiple choice question to your Facebook fans and then view the results. 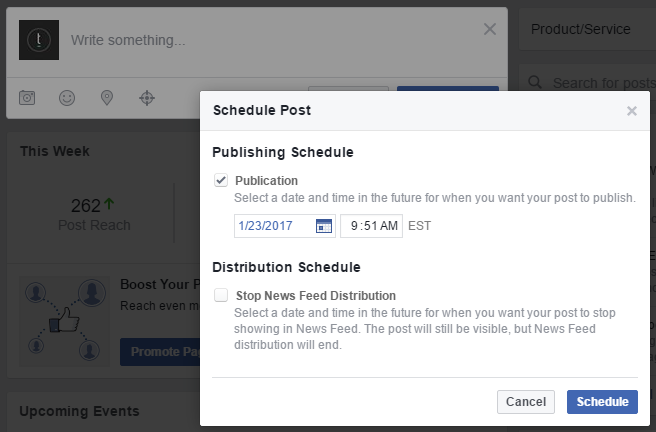 One of Facebook’s newest feature allows you to schedule posts in the future. It’s very user-friendly and allows you to schedule several posts in advance, although it is not as comprehensive or efficient as using a third-party scheduling platform (such as Hootsuite or Hubspot– see our guide on using Hootsuite’s post scheduling tool here ). In the Status Update box, clicking the “pin” icon allows you to check-in to a location (and list the place that the activity your post refers to took place). 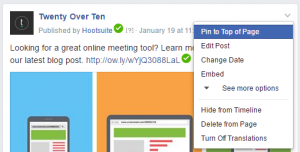 Once you’ve published a post, one way that you can make it immediately visible to anyone who visits the page is by “pinning” the post to the top of your Facebook page. Doing this “pins” your post in place at the top of your wall (even as you post new material) making it an effective way to boost views for new information updates or important news. Just click the downward arrow in the top right corner of the post’s box and select “Pin to Top of Page”. We hope this breakdown provides you with a more comprehensive understanding of all the tool offers and helps you make the most of your Facebook Business Page.